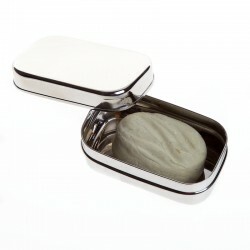 This everyday soap is ideal for the care of the most delicate skins. Used as shampoo bar, it strengthens, nourishes and gives elasticity to the hair because aloe is a natural hair conditioner. 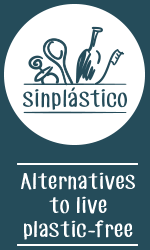 It is the healthy and eco-friendly alternative to gels and shampoos because it does not generate plastic waste and is 100% natural. 100% natural soap: Handmade soap bar made of top quality vegetable oils obtained only by mechanical processes based on aloe vera from organic crops (Aloe barbadensis). Fragrances, colourants or preservatives free. As a shampoo, Aloe is a very effective ingredient in hair and scalp care because achieves a thorough cleaning. Its ability to penetrate opens the pores of the scalp and aminoacids of the plant revitalize healthy skin. In healthy hair, aloe also acts as a conditioner because penetrates into the roots. Aloe elements have a similar chemical composition to those of keratin, which is the essential hair protein, what helps to rejuvenates providing their own nutrients. The result is a more elastic and flexible hair, and therefore less brittle. In addition, it is specially suitable for the care and protection of sensitive skin. Its enriched formula of vegetable origin, obtained from the mixture of olive oil and aloe vera, nourishes, protects and reinforces the epidermis cleaning gently the skin. It also has an immediate relieve effect on wounds, skin disorders and minor burns. It is a multi-purpose product: helps to heal of wounds, improves bruises and muscle and joint pains, gets acne and skin spots better , treats sunburn, prevents skin aging, relieves irritation and itching, and prevents stretch marks. If we use it as a specific soap for hands and face, smoothes and softens your skin because it acts as a natural moisturizer. Aloe moisturizes the skin without leaving it greasy. For people who use mineral foundation, aloe vera acts as a moisturizer and is ideal for your face before application in order to avoid drying the skin. For men, aloe vera can be used as an aftershave treatment since its healing properties can treat small cuts caused by shaving. This everyday soap can be used interchangeably for the body, the face or hair washing and conditioning. Hair use: apply the shampoo bar directly on the head, massage gently with fingertips and rinse with water, tepid if possible. In case of skin problems, apply the product once a day, letting the foam act for a few seconds. In case of contact with eyes, rinse thoroughly with plenty of water. Ingredients: OLEA EUROPEA OIL, AQUA, SODIUM HYDROXIDE, ALOE BARBADENSIS. 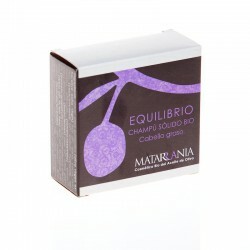 Natural shampoo bar for oily hair Equilibrio 100gr. Natural Shampoo Bar for Oily Hair Notox 65 gr.